We saw the birth of the Nomad Gin Bar at the Grand Reopening of the Crabtree, Fulham. Nomad Gin Bar serving 54 London dry and flavoured gins from Britain, Ireland, Iceland, Netherlands, Germany and Spain. 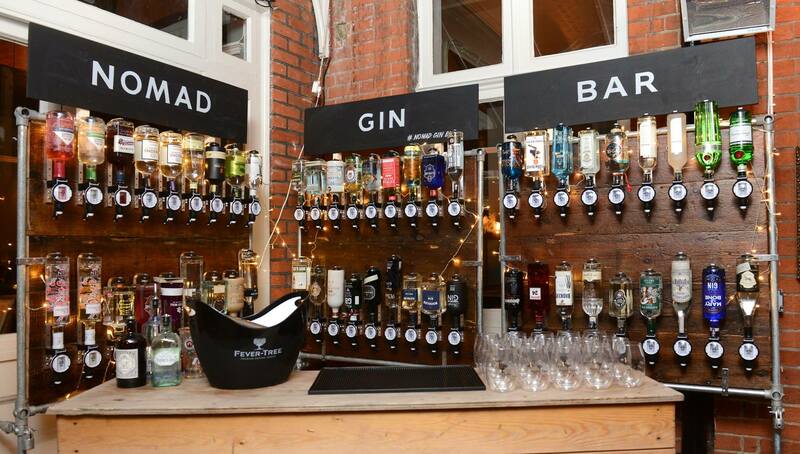 £5 for a Gin & Tonic and you get to select your garnish & Fever-Tree mixer. You can purchase gin vouchers from the bar for £20 which will get you 4 gins at the Nomad Gin Bar. Over the next few weeks the Nomad Gin Bar will be travelling to the below pubs for a limited time. To keep track of where the Nomad gin bar is go to be in the future, follow the hashtag #NomadGinBar on Instagram and Twitter.